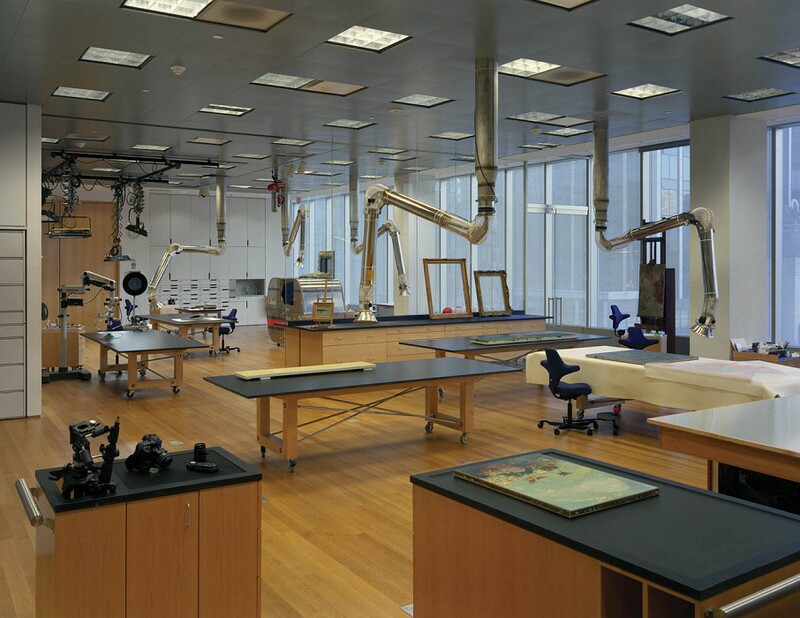 MoMA requested a premier facility for its art-conservation department, to be constructed concurrently with its 2004 Expansion. 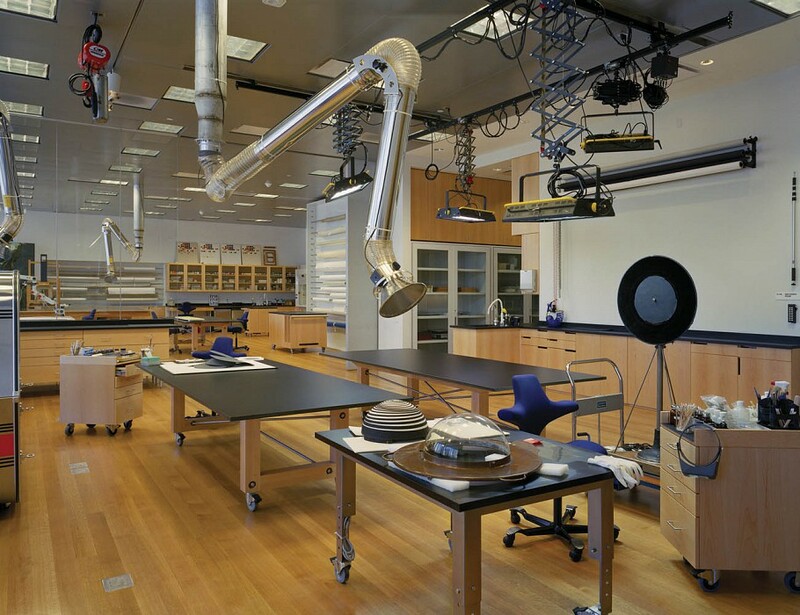 The program included specific requirements for each discipline: paintings, sculpture, photography and works on paper, and conservation science, along with a departmental library and conference room. 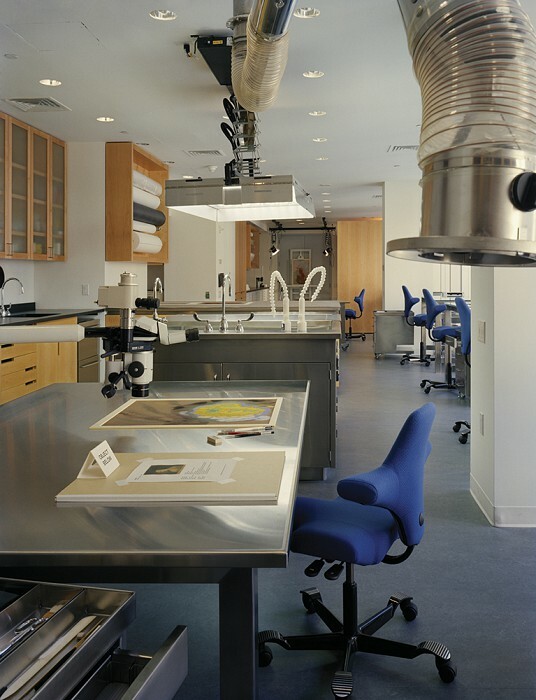 The fundamental goals included spaces suitable for versatile examinations and treatments, ample natural light, and a scheme fostering intra-departmental interaction and collaboration. 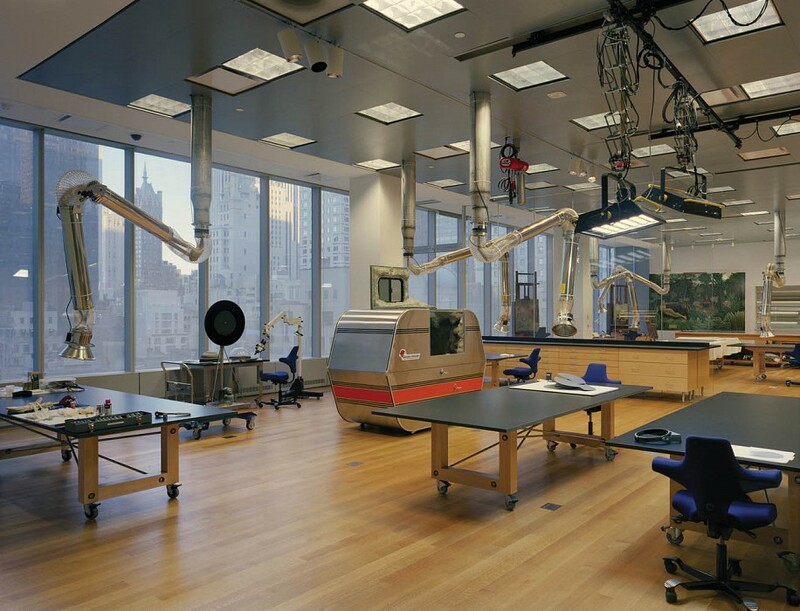 As a result, the MoMA Conservation Department has become a touchstone for other institutions planning new labs. 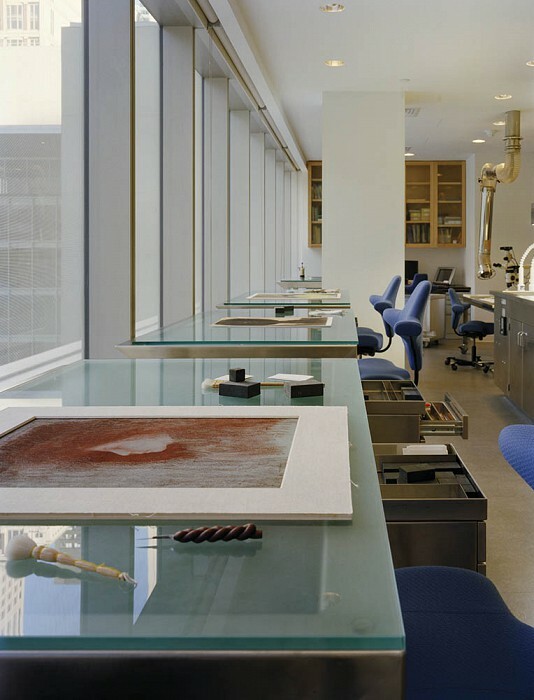 Northern light floods the large ninth-floor treatment spaces. 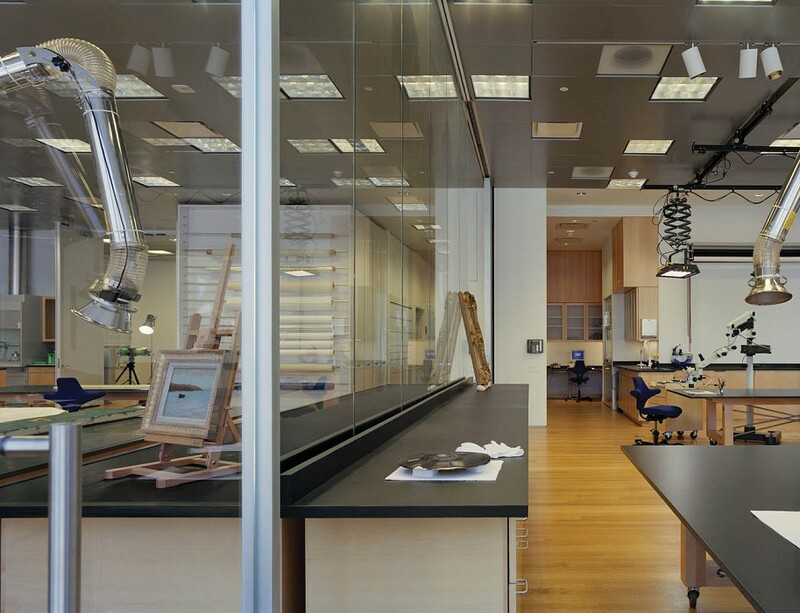 X-radiography, photography and spray-painting share a specially designed room, and the fourth-floor paper and photography lab is a model of efficiency and light. 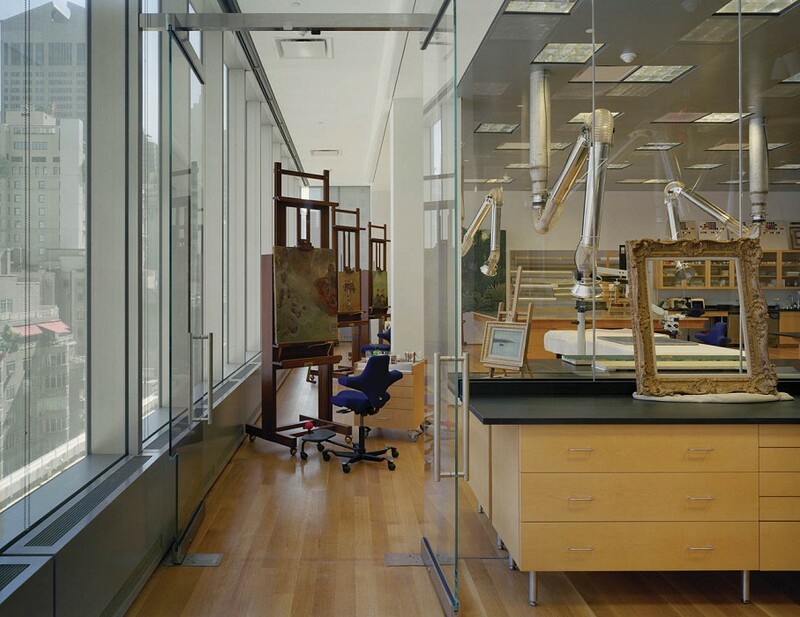 Treatment tables, taborets, and other custom furniture are tailored to each discipline. 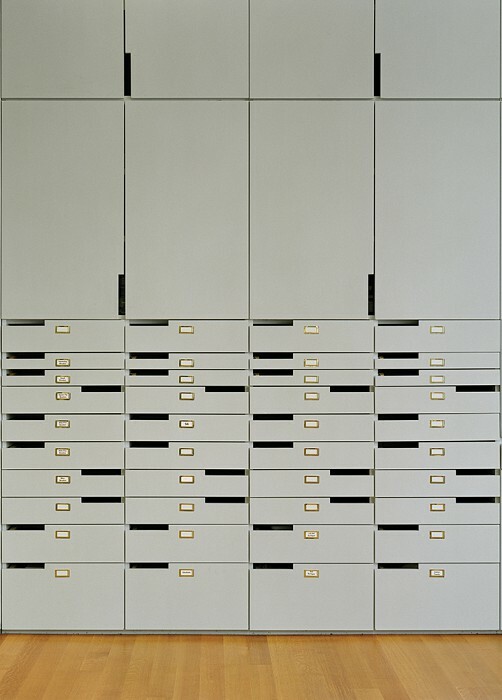 Ample storage for art, tools, equipment, treatment files, and supplies is seamlessly integrated into the whole.